In spring 2003, a group of Carolina faculty, administrators and alumni banded together to lay out an ambitious plan for Jewish Studies at Carolina. 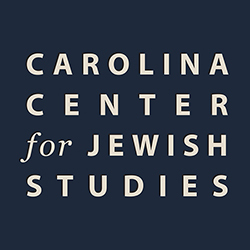 Nearly 15 years later, the Carolina Center for Jewish Studies is still all about bringing together people who share an interest in Jewish history and culture. We invite you to learn more about our people – from our renowned faculty to our talented graduate students and promising undergraduates. Visit our profiles section to read more about some of our students and faculty members, and about our loyal alumni and generous donors, who do so much to transform goals into reality at Carolina. Twenty affiliated faculty members based in eight different academic departments. More than 20 graduate students working in diverse research fields. More than 1,000 students take Jewish studies courses each year at Carolina. Learn about our academic programs and enrichment opportunities. Read all about our faculty members, students and supporters.